ISTANBUL, Feb. 17, 2015 - People walk in sonw in Istanbul of Turkey on Feb. 17, 2015. 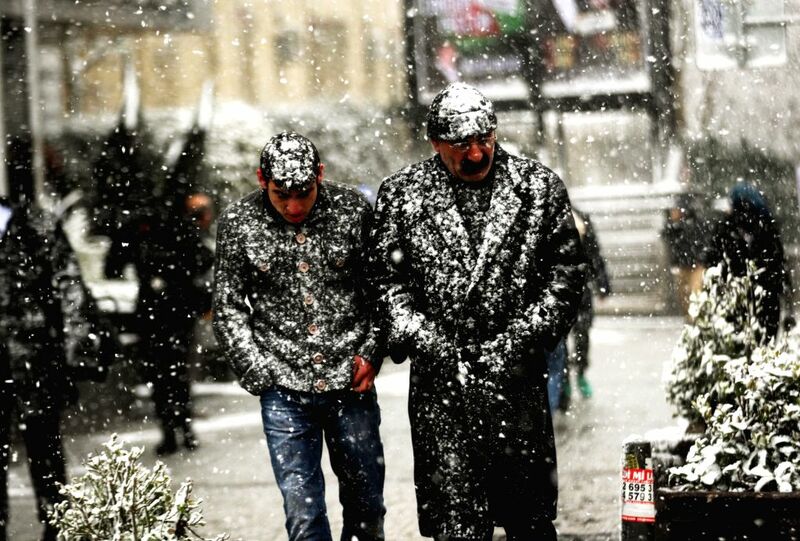 Snowy weather conditions hit Istanbul, bringing daily life to standstill in the city on Tuesday. Turkish Airlines (THY) announced on Tuesday morning via its website that it had canceled a total of 123 flights due to the heavy snowfall. One person died in a traffic accident, and the Istanbul Metropolitan Municipality's Disaster Coordination Center (AKOM) declared a red alert.